You are here: Home / Destinations / 10 Reasons To Visit Roatan, Honduras – See Why We Go EVERY Year! 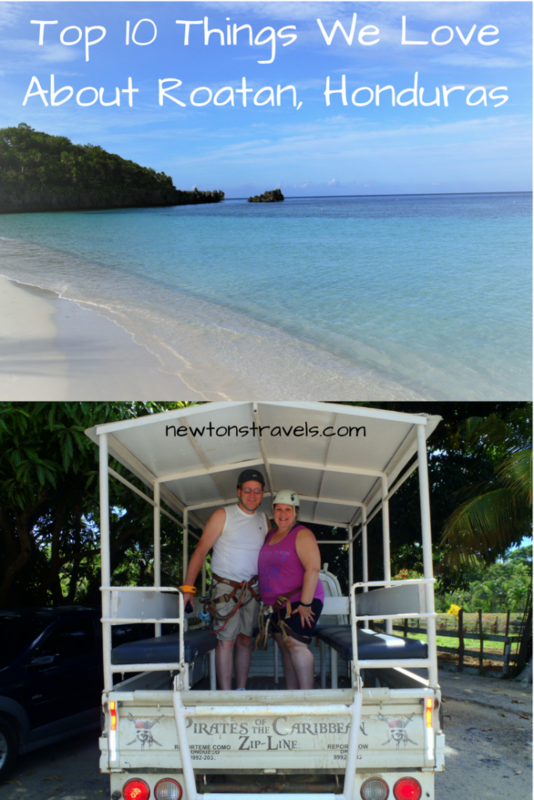 My friend was asking what we love so much about Roatan, Honduras that keeps us going back year after year so I thought we would come up with a top 10 list to share with you. Whenever we think of Roatan, we can’t help but smile. We are excited to share our love for Roatan, Honduras with you. 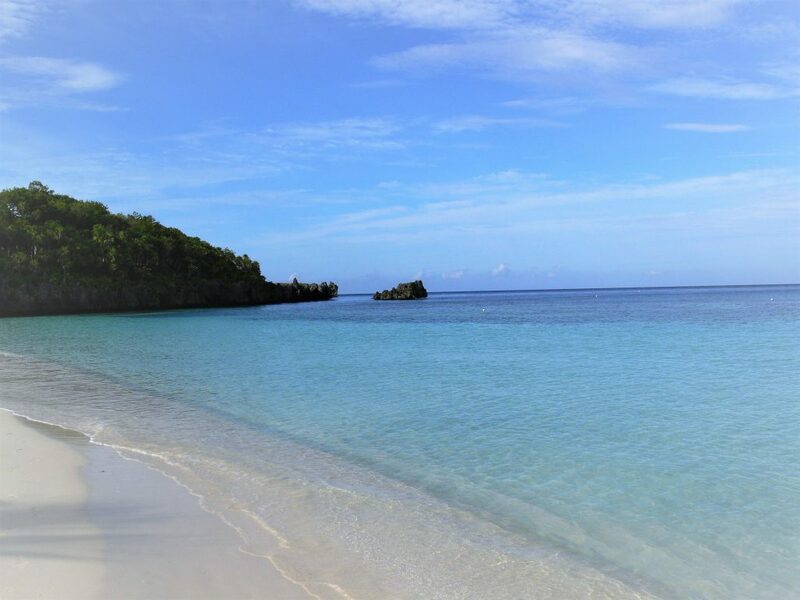 We highly recommend you visit Roatan. 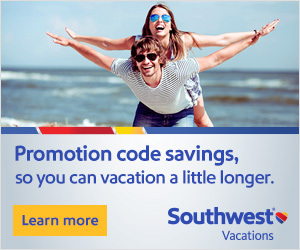 Time to start planning your trip now. You will experience and create memories that will last a lifetime. Here are the top 10 things we love the most! Snorkeling is our favorite activity to do. I love that we get some great exercise and the underwater sea life is amazing. We find something new every time we snorkel. Roatan’s Mesoamerican Barrier Reef is the 2nd longest and is just amazing (Australia’s Great Barrier Reef is the longest). 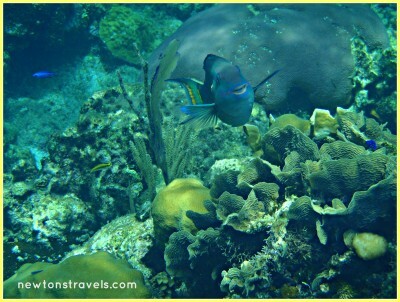 Roatan’s reef is a protected part of the Roatan Marine Park so please if you have never been snorkeling, do your research. We rent a house right on West Bay Beach and are just steps to the water and reef. It’s some of the best snorkeling in Honduras. Roatan is a snorkeler’s dream. In our experience the people on Roatan are very nice. There are many that speak English as well as a lot of expats living on the island. Everyone is accommodating. 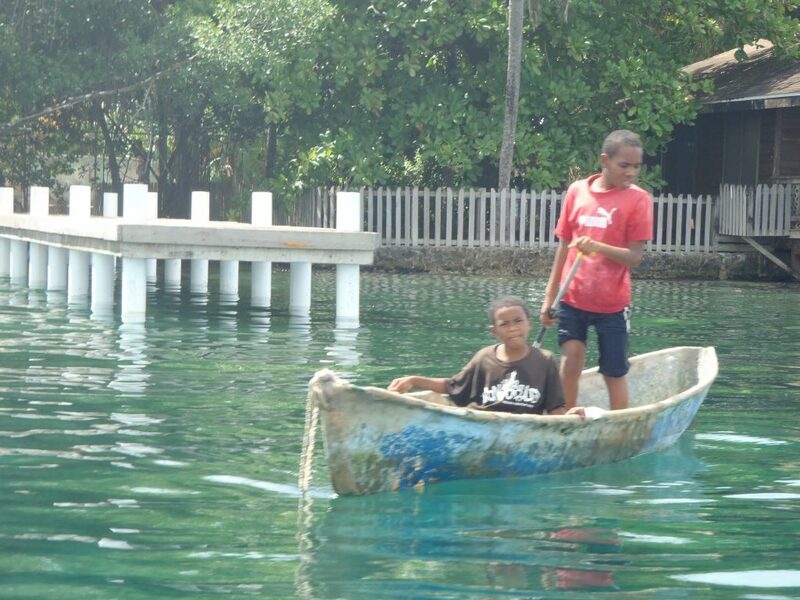 The people living on the island are happy to see tourists and share their culture. The kids are adorable. We love the small town, almost home like feeling we experience on the island. You will see lots of smiles as you pass people on the street and beach. If you ever run into Milton, the banana donut man, please stop and say hi and buy a bag of doughnuts. Don’t be afraid to strike up a conversation with people on the island. Jump right in and make yourself at home. We love the soft white sand on West Bay Beach. The beach is so inviting. The sea is usually calm and no choppy waves. Plus, no seaweed laying there to greet you as you go swimming. Just keep in mind – looking for and finding shells is nice but you are not able to bring them home. Enjoy them while you are there and then just leave them behind for someone else to enjoy. I always look forward to the crabs that run around the beach at night after dark. We love the weather in Honduras. It is hot and one of the reasons why we return year after year. Roatan has some rainy seasons (June-July & October – February). In August-October (when we go) it’s usually in the high 80’s and 90’s. There is normally a chance of rain since there is no such thing as a dry season but the power goes out more than anything. You may get a few rain showers while there so just embrace it. You can take a break from the hot sun and nap in a hammock or grab a bite to eat. It usually doesn’t take long for it to clear up. We have even snorkeled in the rain. Obviously you don’t want to be out in the water if it’s storming but a light rain shower never hurt anyone. Island life includes some rain and humidity. Rum is food right? Kidding, maybe. You’ll find a lot of fresh seafood at restaurants in Roatan. Things like conch fritters, coconut shrimp & of course we always have to try calamari everywhere we go. Don’t miss grabbing a baleada from a beach vendor. 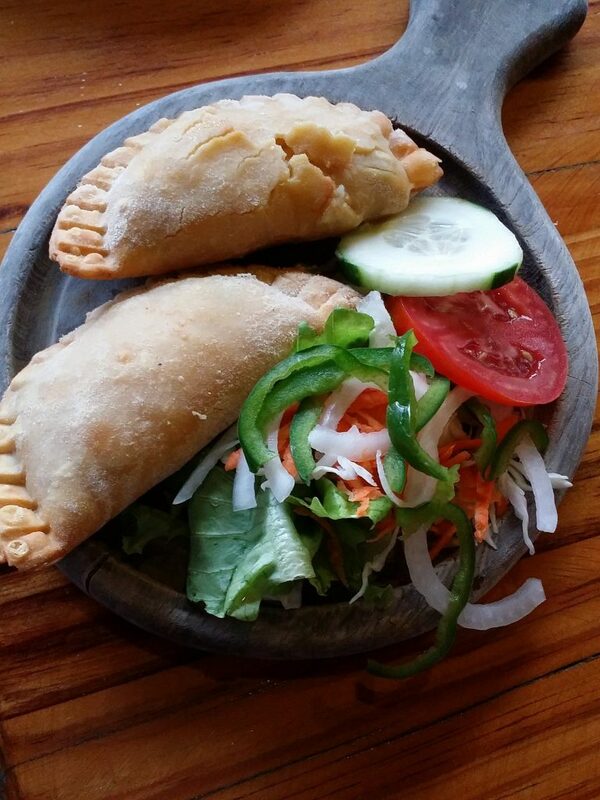 Honduras is known for these flour tortillas filled with refried beans, cheese and mantequilla and other yummy ingredients of your choice. And remember to keep an eye out for our friend Milton who walks up and down the beach selling banana donuts. And make sure you ask him about his wife’s Big Mama burger. We still have yet to find delicious sushi but we’ll keep trying. Please if you know of any point us in the right direction. We also love the coal fired pizza from Bananarama. Every time we have gone they have had a 2 for 1 pizza special one night of the week. Don’t miss it. Grab yourself a Monkey Lala drink. And Honduran coffee any time of day, it’s delicious. We like to stop at JavaVine, the coffee/pastry shop in West Bay Mall for some frozen drinks in the mornings. 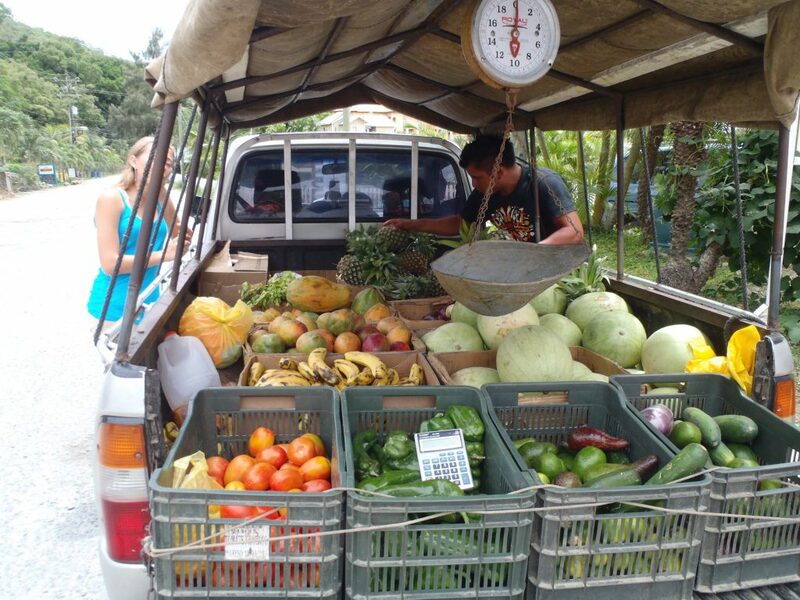 You might also find a fruit truck up in West Bay too so stock up. Grocery shopping should be done on your way in from the airport. Have your driver stop (it’s not usually more than $10 for the extra stop). They will wait while you shop. We have bought things like tuna, peanut butter and jelly, snacks, water, soda and easy grab and go options. We usually treat our driver to a nice big water or a drink of their choice to thank them for hanging out while we shop! Roatan has a lot to explore. You can book boat, fishing and snorkeling tours. There are hot spots to snorkel in addition to just off the beach. We went to Gumbalimba, a 20 acre park in the off season the very first time we went to Roatan. They have zip lining, hiking, exotic animals living on their animal preserve that you can interact with (Capuchin monkeys & exotic birds), botanical gardens and so much more. 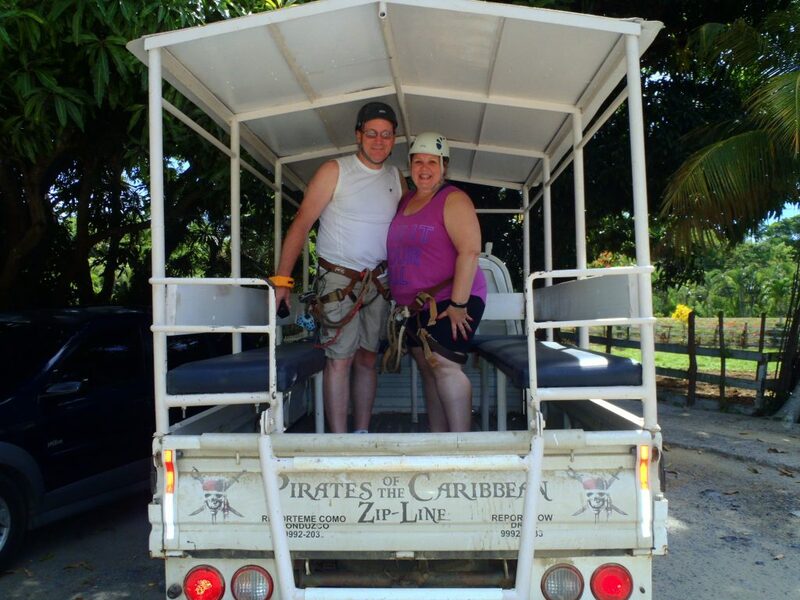 Two times ago we went zip lining at Pirates of the Caribbean zip line and it was awesome. We highly recommend them. There are different shore excursions offered and also driving tours that will take you from one tip of the island to the other. Oh and don’t forget there is paddle boarding and kayaking too! Kayaking is something Kev loves to do. 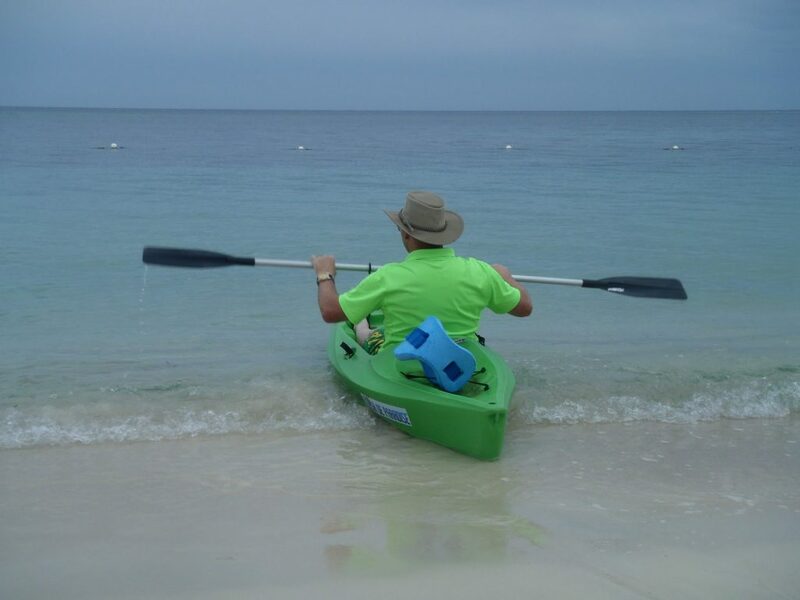 We have kayaks available to us where we stay but most resorts will rent them out to you along with offering a variety of other sea activities. We love shopping at Penelope’s Island Emporium up in West Bay at the West Bay Mall. I find a unique piece of jewelry every time we go and sometimes pick up a Christmas tree ornament too. I actually think Penny has the store up for sale now. On our way to the mall there is a new adorable and colorful shopping ‘center’ that was just being built last time but the Roatan Chocolate Factory store was open so that was enjoyable. All of this is not too far of a walk from our rental so that’s nice. There is all sorts of shopping you can do along the beach too. Lots of little shops that you can explore. Typical souvenirs and unique items can be found at the market in Coxen Hole. You can also do lots of shopping at the plazas in French Harbour. You can find artwork too. We have two Garifuna paintings. There is pottery, glass work, baskets and much more. Something for everyone. We have only had experience with one spa, the Roatan Serenity Day Spa at West Bay Lodge. I secretly want to stay at this resort sometime but we absolutely love our accommodations for the past 4 times to Roatan and can’t beat the location, price, etc. 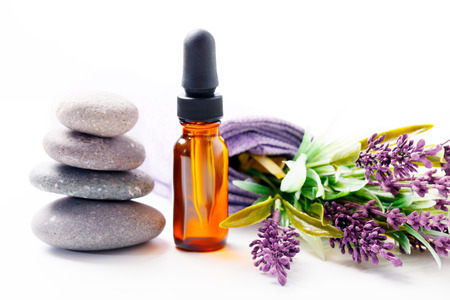 The Serenity Day Spa is a small operation but it’s absolutely perfect for us. They have all kinds of massage and body treatments, facials, soaking tub, manicures/pedicures and more. We get an aromatherapy couples massage! *this image is not Serenity Day Spa. Side note: The first time we went to Roatan, we had booked a couples massage at the Mayan Princess resort but when we got there they had only one masseuse when they specifically said they would have two so we canceled our appointment because the whole point that day was to have a couples massage. 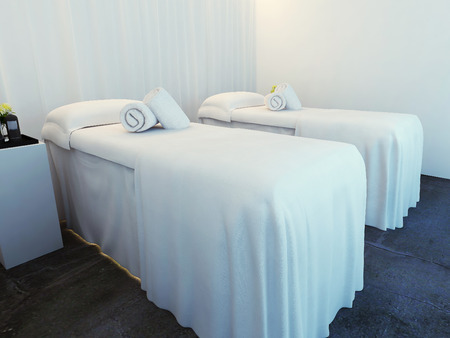 After visiting Serenity Day Spa, we were hooked and it’s been awesome. We actually found lodging through the site VRBO (Vacation Rentals By Owner). 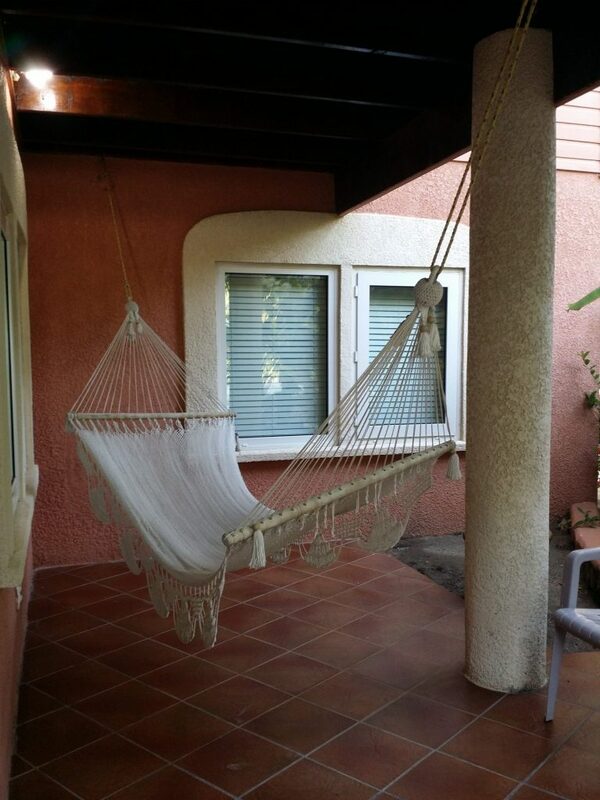 We have been renting a house/room style place since the very first time we went to Roatan. Casa de Paradise at Emerald Bay Beach Club has been great. There are several options that work for everyone from a family size space to couples and even single occupancy. Kev loves to hop in the hammock and catch a quick cat nap with the resident cat. Since we go in the “off season” the prices are even better. 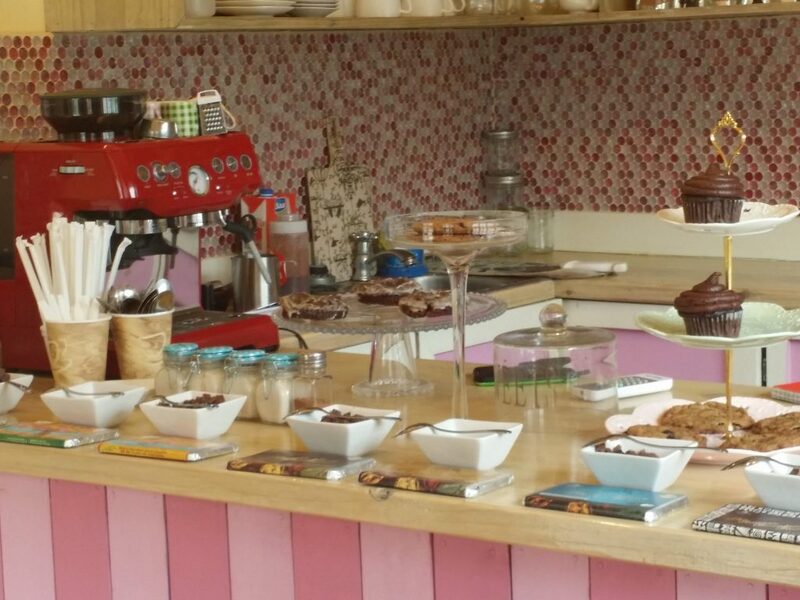 It’s great – the owners have been amazing to work with and are always accommodating. Since we are not in a hotel or resort we are able to have an area to make our own food – this is fantastic to save on money or if there are dietary restrictions. 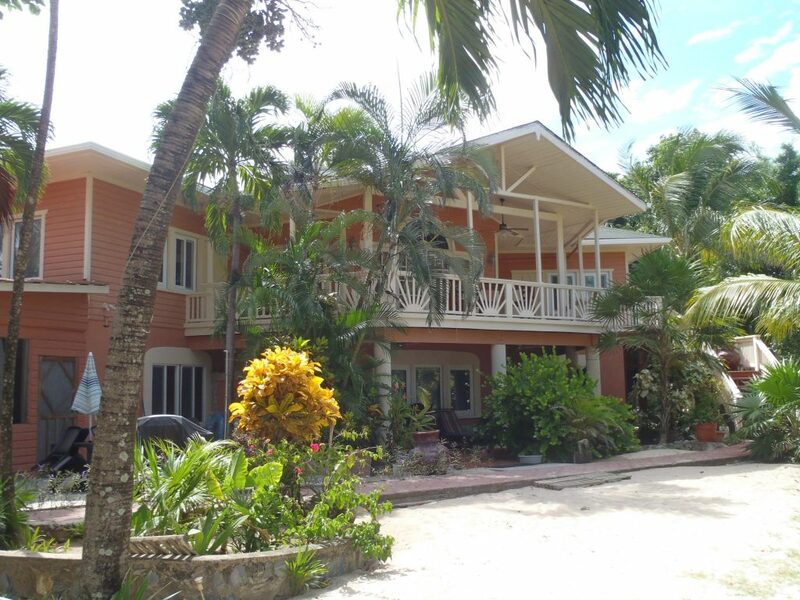 We have stayed at their Casa Coral, Spencer’s Cove and Savannah’s Treasure rentals. Savannah’s is our top pick for couples and where we’ll most likely stay from now on. On our first visit to Roatan, we were able to tour all of their rentals and you really can’t go wrong with whatever you choose. In addition to rental houses, there are also plenty of hotels & resorts to choose from. 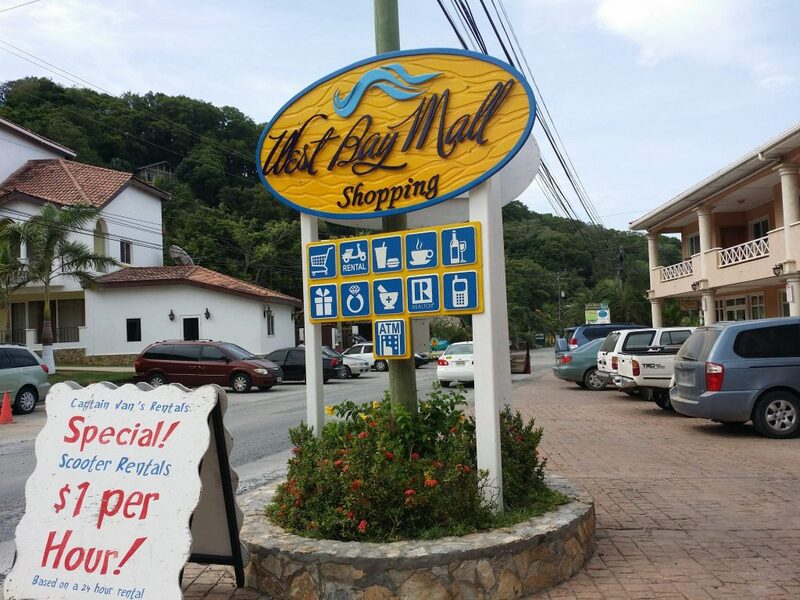 Some that I recommend are West Bay Lodge, Mayan Princess, Infinity Bay, Grand Roatan, Bananarama and down close to where we stay is Fosters West Bay. They are at the end of the beach and have unique looking accommodations, even a tree house. There is one place I would love to experience sometime and that is Turtle Bay Eco Resort on Cayos Cochinos. Looks like pure bliss! I love the fact that we don’t have to follow any set schedule while we are on vacation. Kev loves to wake up at the crack of dawn, grab the kayak and head down to the water. While he heads out to enjoy his time on the water, I either sleep in or wrap myself in a sarong and grab a book and my binoculars and head to the beach. Flip flops and bare feet make me happy and we can stay in our bathing suits all day if we want. And we sometimes do because we snorkel from morning until evening with a nap break in between most days. All of this inspires me to work harder every time we go back home so that we can keep returning to this magical place. The Garifuna history is interesting too so be sure to read more about it. Or we can help you get in touch with our driver Omar to set up an island tour where they will teach you more about Garifuna. Thinking About A Trip To Roatan? We are working on a Roatan travel guide that I think will be really helpful for anyone interested in traveling to Roatan. If you have any questions about Roatan, Honduras please drop them in the comments below. And be sure to sign up for our mailing list so you can be notified when we release the guide. I know you are there now! I bet you are having a great time I’ve been following your photos on Instagram. The place looks lovely, soft white sand, crystal clear water and a reef for snorkeling. Just the type of holiday (vacation) the hubby and I would enjoy. It’s a bit of a trip for us unfortunately but next time I am in the Americas I will add it to our itinerary. Thanks for the round up it gave me a good prospective of the place. And yes, Rum is a food group!! Thanks Chris! We just love it here in Roatan. Hope you’ll get to experience it one day.